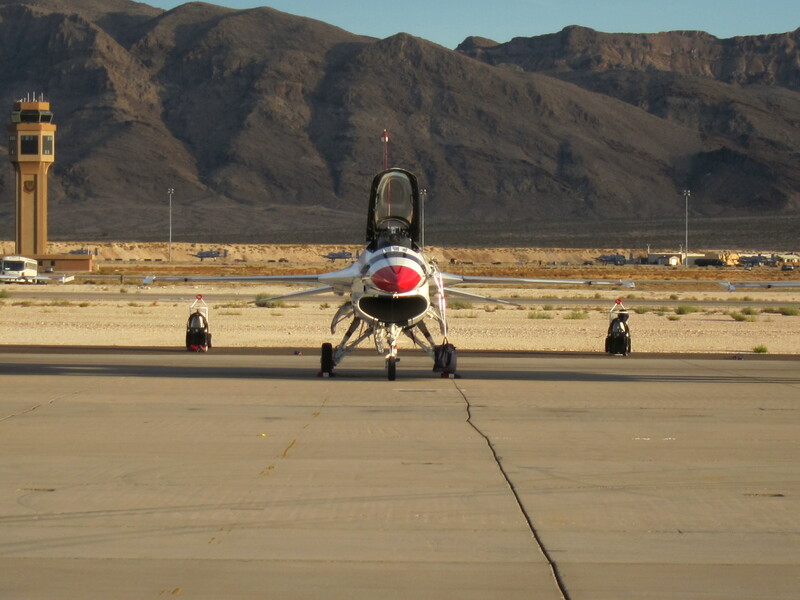 I visited Las Vegas this past weekend to attend the annual Aviation Nation Air Show at Nellis AFB. I’m glad I went because the show was spectacular. The mountainous setting of the base provided a very dramatic background for the aerial maneuvers of the high performance aircraft. You wouldn’t think that you were only 14 miles away from the Vegas Strip. A wide variety of military aircraft were on display, both on the flight line and in the air. Nellis is the home base of the famous Air Force Thunderbirds and they were indeed the stars of this show, but other aircraft also provided very impressive demonstrations, especially the awesome F-22 Raptor. Aviation Nation is a free event and very well run by the Air Force. I was very impressed by the professional manner in which all the Officers and Airmen at Nellis AFB conducted themselves. They were all very “squared away”, as we used to say in the Army. Click here to see some of the pictures I took at Aviation Nation. Videos from the show below. The Thunderbirds start their performance.